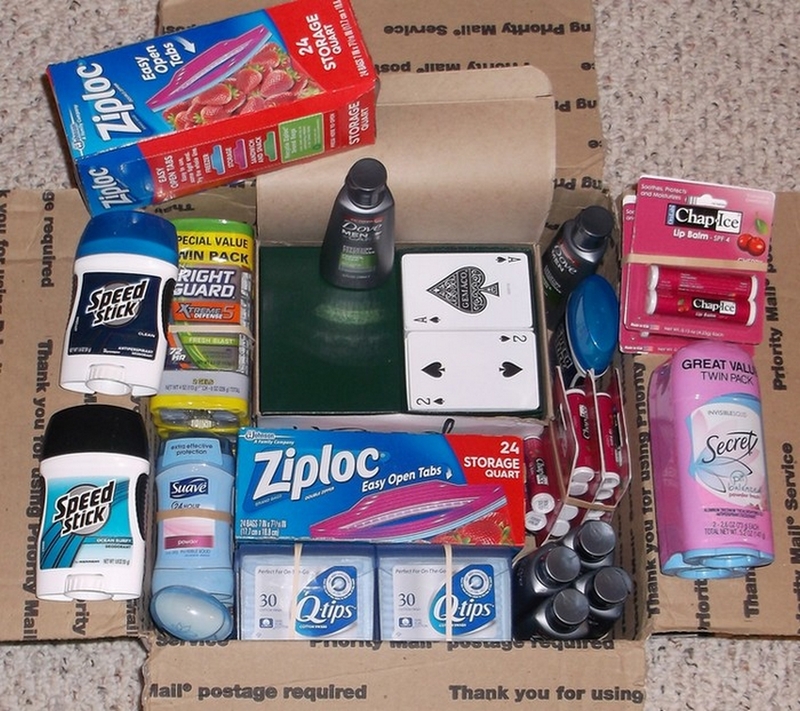 Care Packages for Soldiers: Kathy & Martha of Las Vegas, NV Donate Items to the Troops. Kathy & Martha of Las Vegas, NV Donate Items to the Troops. Thank you Kathy & Martha of Las Vegas, NV for your box of items for the U.S. Soldiers, Sailors, Airmen and Marines deployed overseas. The box arrived with the simple message of "God Bless Our Troops!!" The items will be added to other donated items and included in our next shipment of care packages that will be sent later this month. Items donated by Kathy and Martha from Las Vegas, NV. The Airborne Angel Cadets of Texas are happy to support our troops overseas. There are many ways you can help; you can send requested items, like Kathy and Martha did, to us to be included in the care packages, donate funds through the Click and Pledge link at the top of the page or send checks made payable to: Airborne Angel Cadets of Texas, P.O. Box 116691, Carrollton, TX 75011.